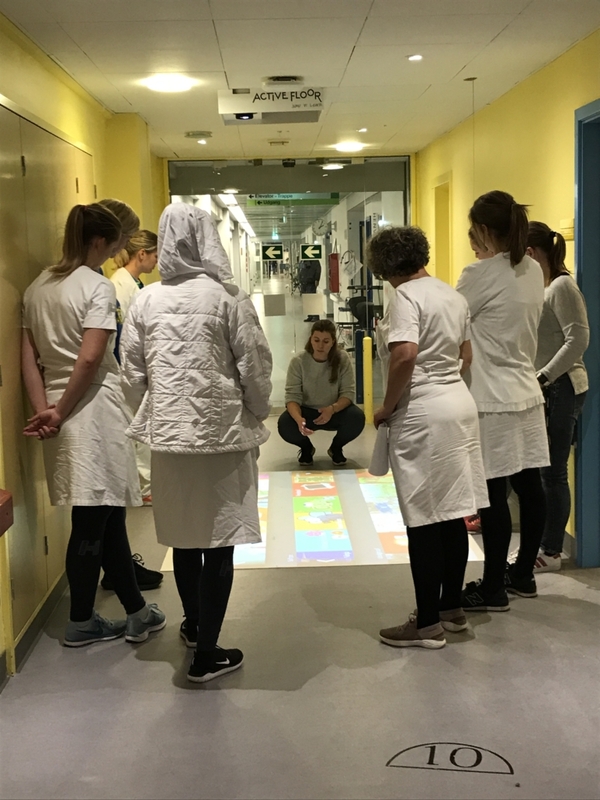 ActiveFloor joined in at the opening of the new interactive floor at Nordsjælland’s Hospital – it was donated by the SMILE Foundation with help from the Ellab Foundation. The SMILE balloons had transformed the grey floor to a sea of green, orange and pink colours, and the tables were set with buns and juice. ActiveFloor and the SMILE Foundation showed in numbers and were ready to give the kids a time-out and challenge them in ActiveFloor’s activity games. 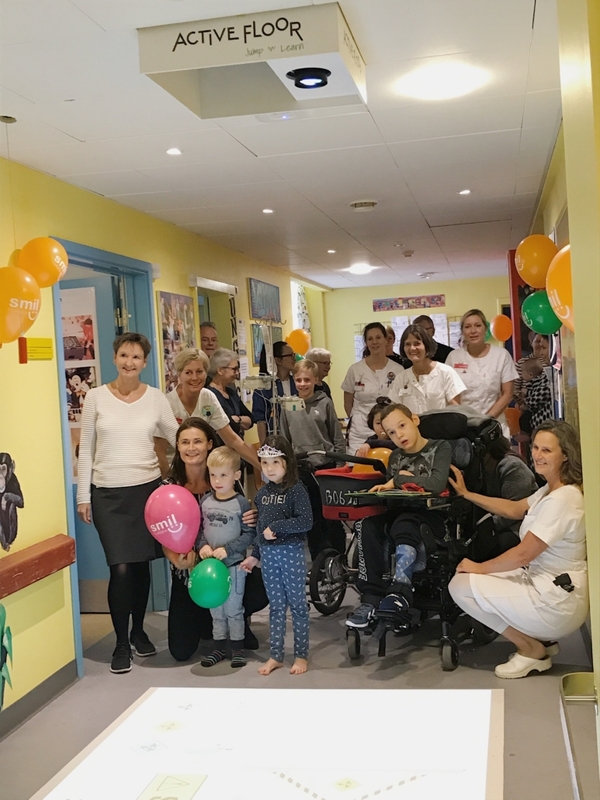 Hillerød Hospital has now become the 10th hospital in Denmark to get an ActiveFloor – 6 of those floors have been donated by the SMILE Foundation. 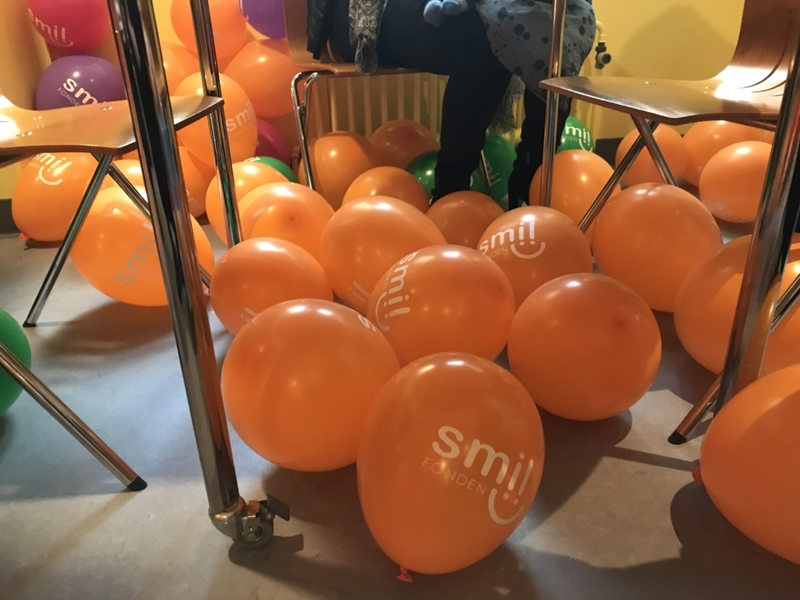 The SMILE Foundation is a charitable organisation that is an expert at throwing fun events both in and outside of hospital. 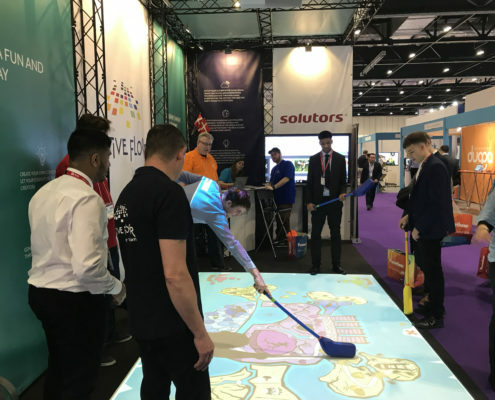 It has been a great joy to ActiveFloor to help spread smiles and excitement and not the least to motivate the kids to get out of bed and use their bodies. We think it is of great importance to let kids be kids – especially when they have to deal with sickness and go through things that no children should experience. “It is lovely that we have something to offer the children, so that they can make time fly in a fun way and have some diversion from the things that might not be as fun in here. 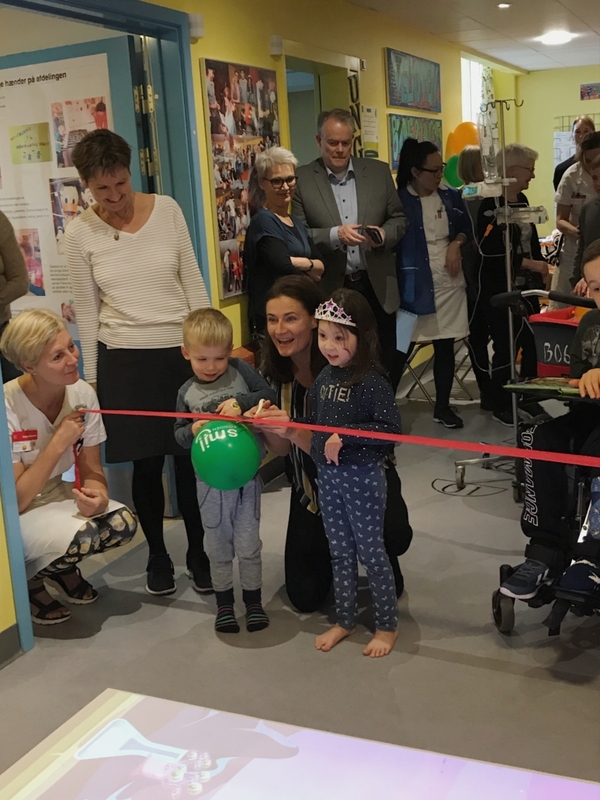 The kids get the possibility to play together and, in that way, create new friendships,” tells Annelise Bertelsen, nursing unit manager of the paediatrics unit at Hillerød Hospital. – Manager and founder of the SMILE Foundation. Apart from the fact that ActiveFloor is a cause for play and happiness from the child’s perspective, the floor places emphasis on the interaction between parents, siblings and other relatives; these are the people who are crucial to the course of the disease and who act as the best medicine for the child. “Everyone can use ActiveFloor. From kids to kids. Kids to parents. Parents to parents. And also visitors and grandparents. 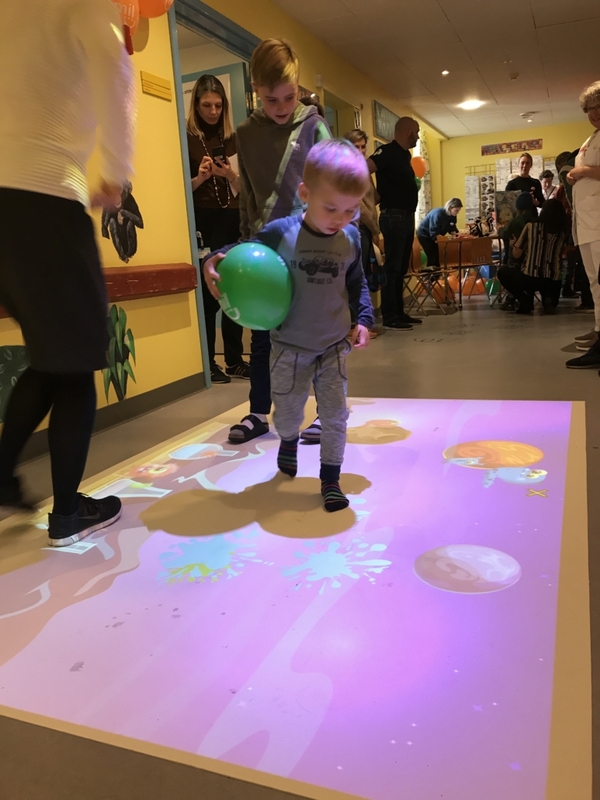 Yep, everyone enjoys and benefits from ActiveFloor,” tells Edel Kirketerp, head nurse at the paediatrics unit at Kolding Hospital. Sisse Fisker founded the SMILE Foundation after both of her two boys were admitted to hospital and underwent operations for inguinal hernias. 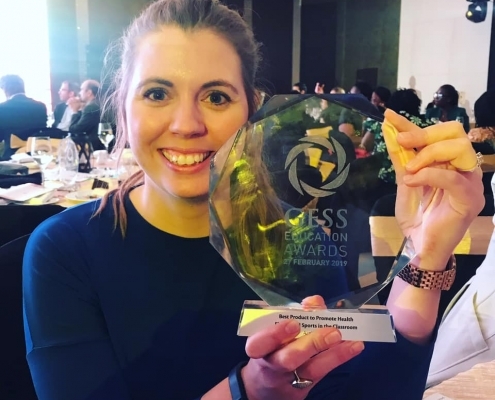 During the course of their illnesses, she had the idea to start an organisation with the goal of sweetening the life for families who battle disease for months and years. “I have experienced having both of my boys hospitalised when they had their operations. And even though the staff do their very best at hospital, being hospitalised is admittedly boring. The days are long and filled with worry, and that just makes it so important to get out and move your body. We know that movement benefits both mind and body, and this is why I think that a donation like ActiveFloor makes total sense,” explains Sisse Fisker, manager and founder of the SMILE Foundation. 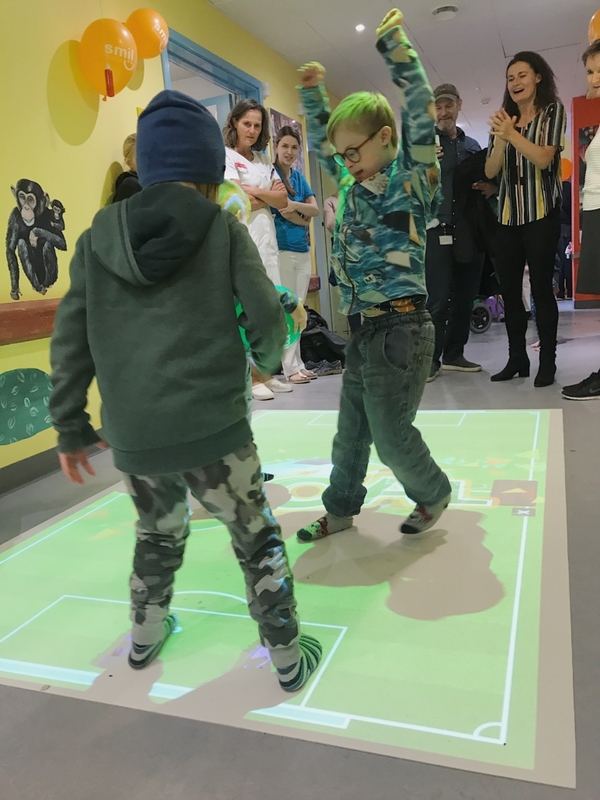 Maybe you know of a hospital or a paediatrics unit which could benefit from an ActiveFloor? Let us know! 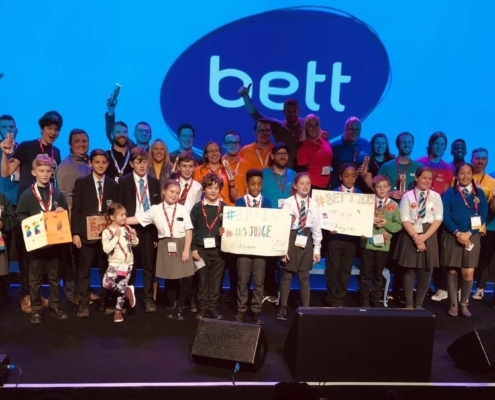 ActiveFloor wins a Kids Judge Bett Award! https://activefloor.com/wp-content/uploads/2019/02/kidsjudgebett_optimized.jpg 1098 2048 Sascha Benzon https://activefloor.com/wp-content/uploads/2017/10/Logo-header17.png Sascha Benzon2019-02-26 16:15:222019-03-01 11:19:48ActiveFloor wins a Kids Judge Bett Award!